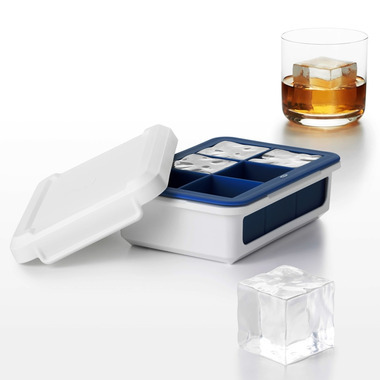 Makes six large (1 3/4" square) cubes that keep drinks cold and won't dilute them. Flexible silicone allows for easy removal, while the frame provides support during filling, moving and storage. 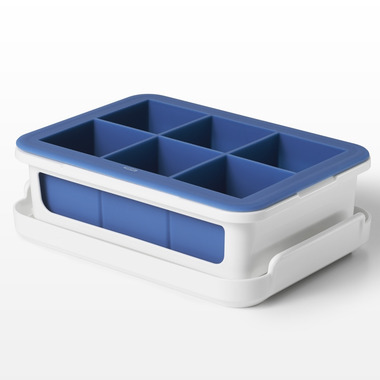 Cover keeps out odors and allows for stacking multiple trays.